This mod is now being maintained by taniwha. See the new thread for information. 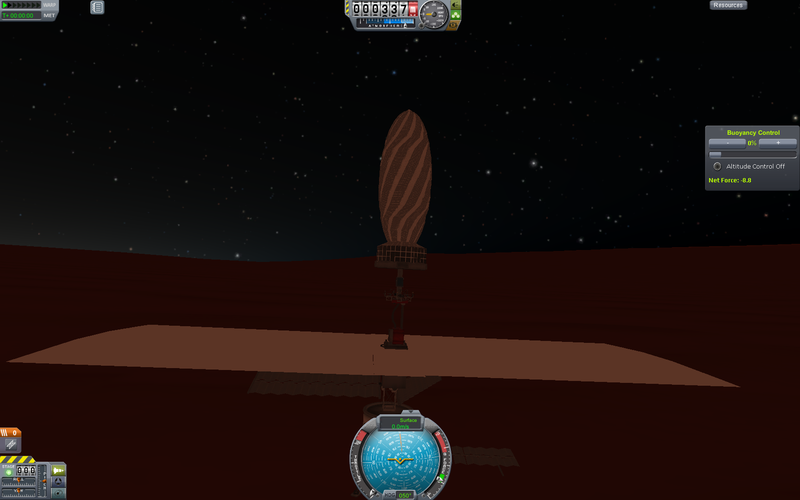 You've flown to other planets, and started a colony on, say, Duna. You've even made the base self-sustaining - via Kethane, perhaps - and then one day you come in a little too fast for the landing and break your lander. What to do? Or, perhaps you have a new vehicle you want to launch from your Tylo colony, but don't want to wait seven months for a transfer window. The answer to both these problems has, so far, been either to send a new rocket up from Kerbin (and in the latter case, just wait) or to use an unrealistic plugin like Hyperedit. But what if you could set up another Space Center at your colony and build the ships there? Extraplanetary Space Centers is here to allow that! 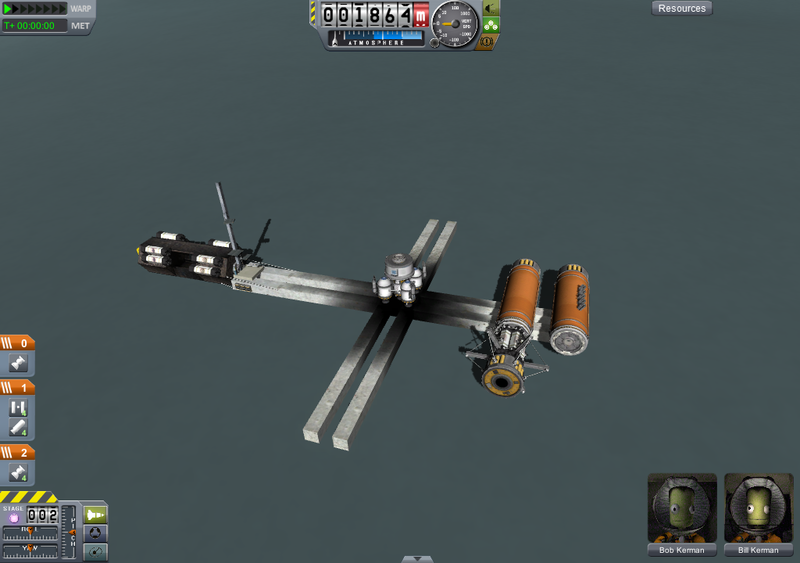 With this mod, you can build your ships at your colonies - never even having to visit the Kerbin launch pad! If you have Kethane v0.7 or later installed, this provides parts and configurations to allow you to mine ore to make metal out of, from which you can create RocketParts. Note that not all planets have the same amount of ore. I based the distribution off of the information about the planets' composition on the wiki. The mod can be downloaded from here. Edit: Use taniwha's v3.3 release for now. This mod is distributed under the GPLv3. If you find bugs, please report them in the development thread. Amazing! I have been waiting forever for this! Awesome, grabin this one right away! P.S. Is there a license for this? been waiting for months for this, thank you Skykooler, and Majiir you too! So how do I make it work with Kethane? Just replace the MMI_Kethane.dll in GameData\Kethane\Plugins with the one provided in this mod? So, do I need both the command pod and the launch pad? Or just one? 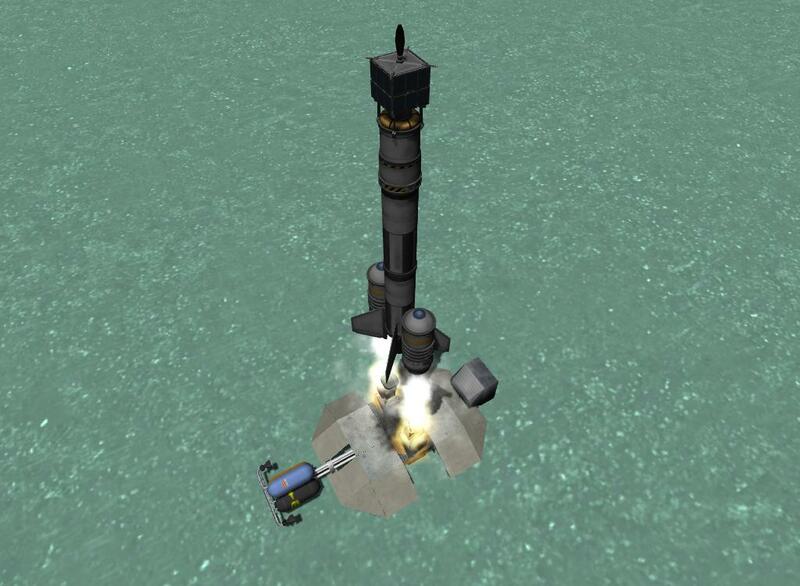 Ok, tested, you only need the launch pad. May I ask why the launch pad isn't folded up on both wings? It would make it look a lot better. Some very basic instructions are needed, I think. I see the parts, but don't know how it's supposed to work. Also is the compatible with the new version of Kethane(0.5)??? I've been waiting for this for a long time, Woo!! time to rejoice!! as said above, compatible with kethane 0.5?? and by chance is it possible to have an orbital space center? Just put a launchpad on your ship, and you can launch stuff. Right click on the launchpad, hit "load ship"
As for mining, I guess you mine stuff to make stuff. I don't know yet. A great mod. I suggest however, to use 'cargo' as a resource instead of ores you have to mine. I believe the Orbital Construction mod does something similar. 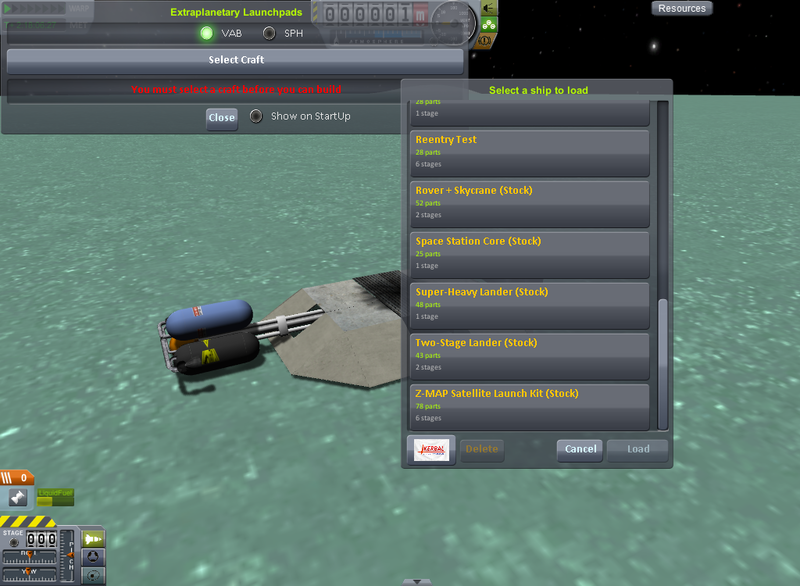 If you want to build a rocket consiting of an orange tank, a mainsail, a decoupler, a capsule, and a parachute, you'll have to fly those parts to your colony. 'Disassembled' perhaps, in a special container. A container can carry a set amount of weight. 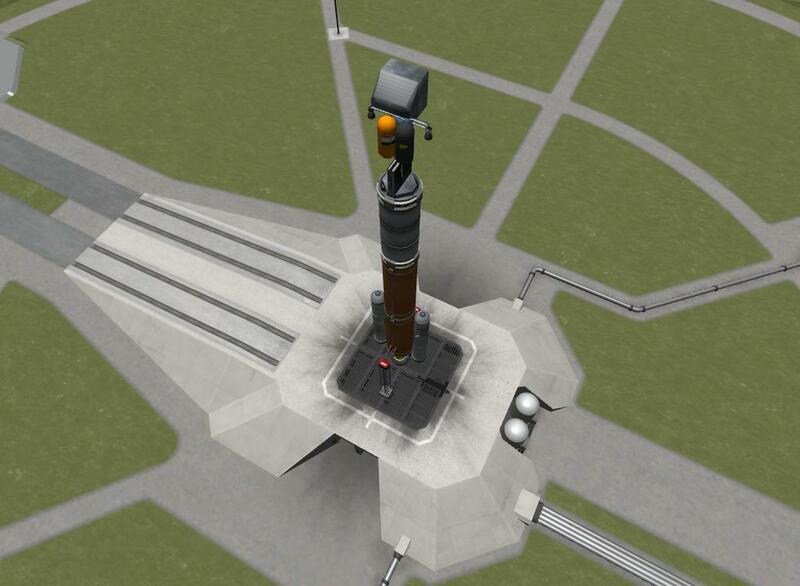 You can only use the parts that are in stock in your extra-planetary launchpad to build a ship. Could give it a more interesting angle and give you an actual reason to make regular restocking flights. you would lose the point of having a "self-sustaining" colony on a far away place lets say on jool, You will still need to launch from Kerbin. But having this as an alternate feature would be good. Orbital construction has spare parts. If you have a ten ton ship, you need 10 tons of spare parts. 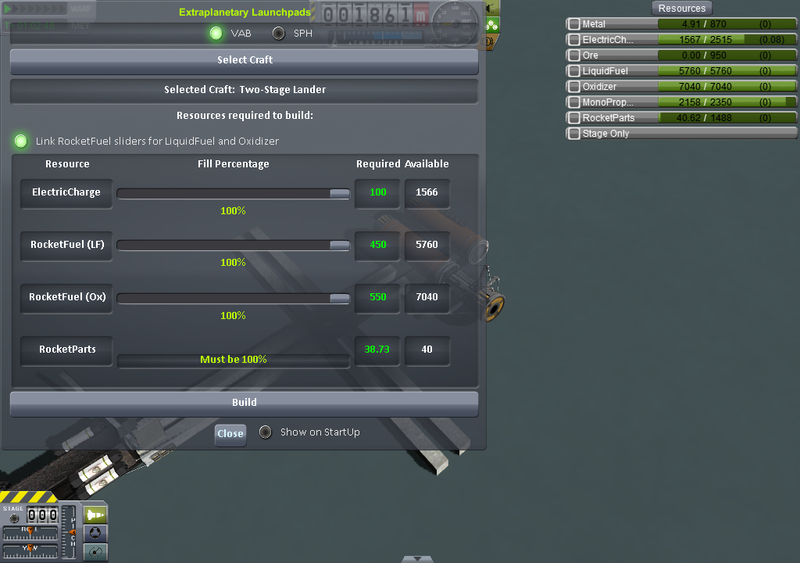 Orbital Consruction uses "spare parts" as a resource. So there should not be a conflict. OMG, this is awesome! Downloading now. Could you perchance add a spaceplane airstrip? I know that parts can be made up to 1992 meters long, so the only problem would be to find room for it somewhere. Ask HooliganLabs, he has made some BIIIIG parts. It does have a spaceplan airstrip, but it dosen't go as big as you like. Perhaps if it was made uber-foldable and REALLY skinny it could fit on a rocket. Adding to Nutbag Deluxe's comments, Could it be possible to add an intermediary part, converting "metal" to "spare parts" and have "spare parts" be the material used for construction. That way we can manufacture parts for space centres in orbit of other worlds, assuming orbital construction is also installed. Also could we get an optional "hard mode" with additional dependancies for fuel and crew? Carrying green goo and cryo pods to replicate kerbals? I'm actually working on a small mod to do just that, that is, convert Metal to SpareParts for use with Orbital Construction. is it just me or do the ore/metal bin models show up invisible? Just you right now. Try alt+F12, database, reload parts. Not just you. Same thing here. You launch the Launchpad to any point in space? Then from there you need to harvest resources to build your crafts? 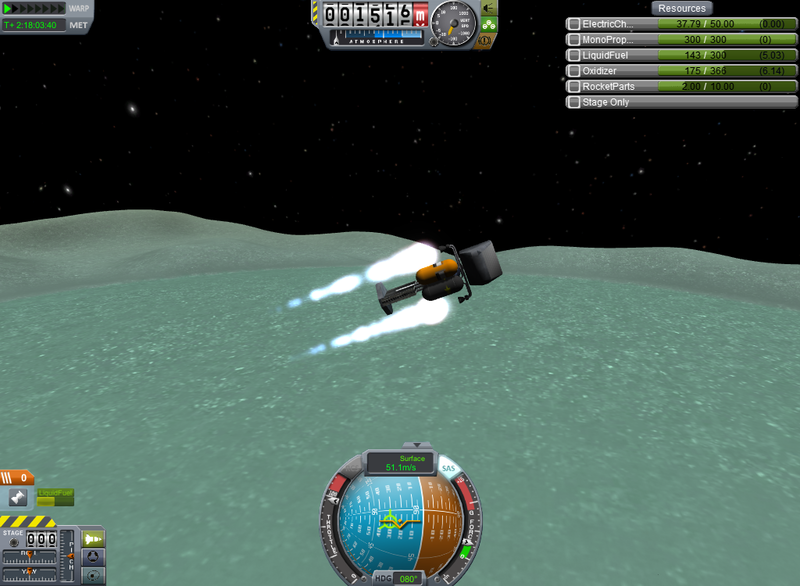 And then I can finally launch Spacecraft from the Mun in a lower gravity environment thus saving on a lot of fuel?